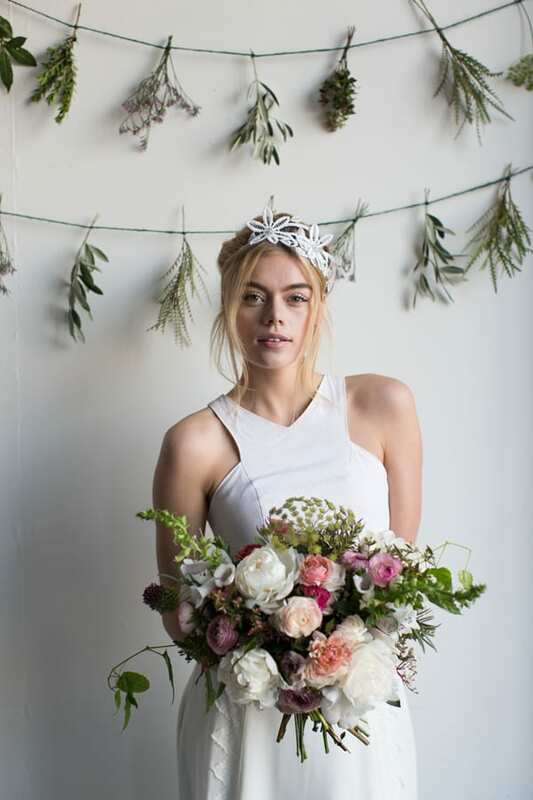 You may remember that a couple of weeks ago, I highlighted the florists who’ll be exhibiting at this year’s A Most Curious Wedding Fair in London and Norwich. 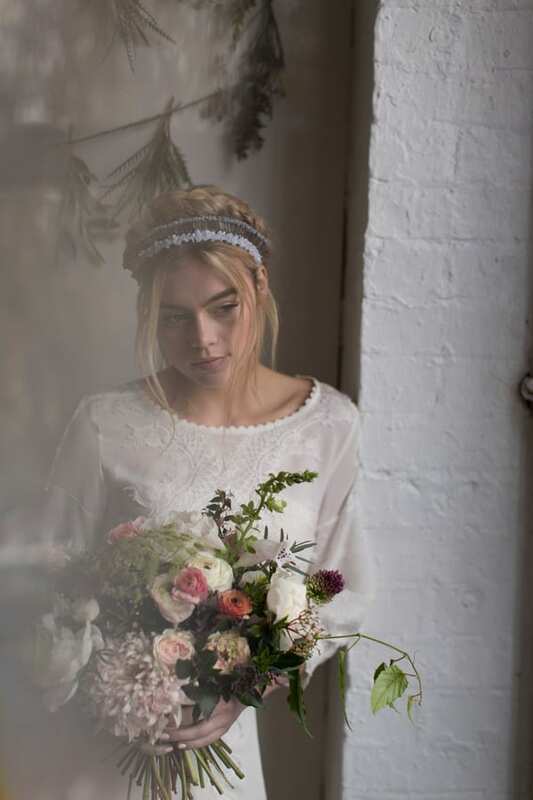 Well, today I’m delighted to feature a selection of images from a styled shoot by the fair’s organisers. 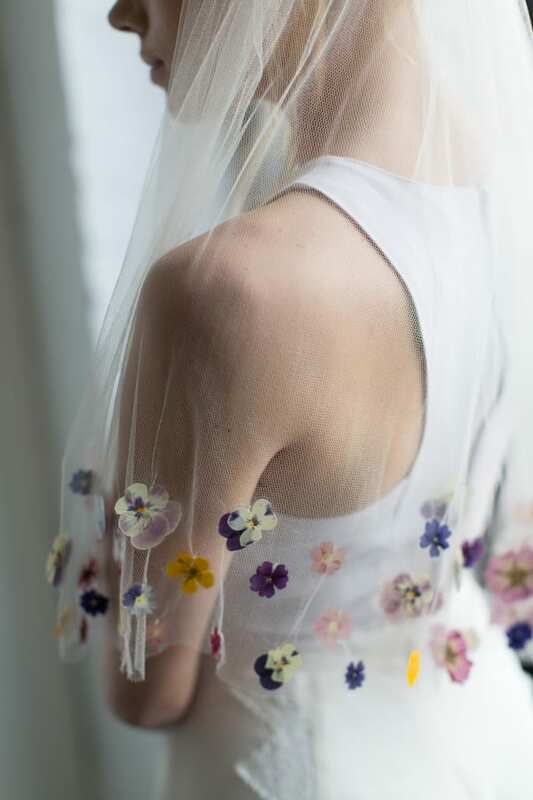 They include not only beautiful floral designs, but also an exquisite floral veil! 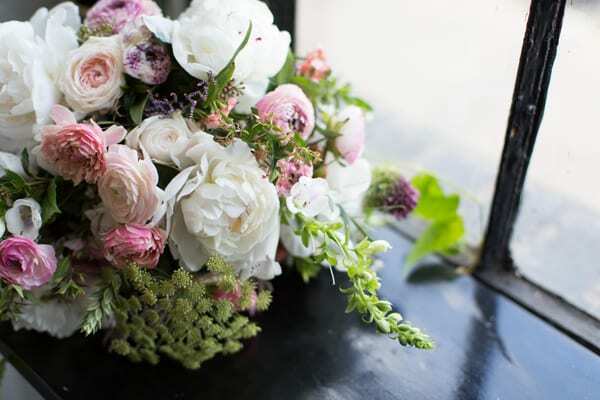 ‘Festiva Maxima’ peonies, garden roses, foxgloves, dill, bullet alliums, cappuccino ranunculus, euphorbia and limonium appear in the bridal bouquet which was made by Emma from Palais. And in the garlands are olive, grevillea, abelia and limonium. 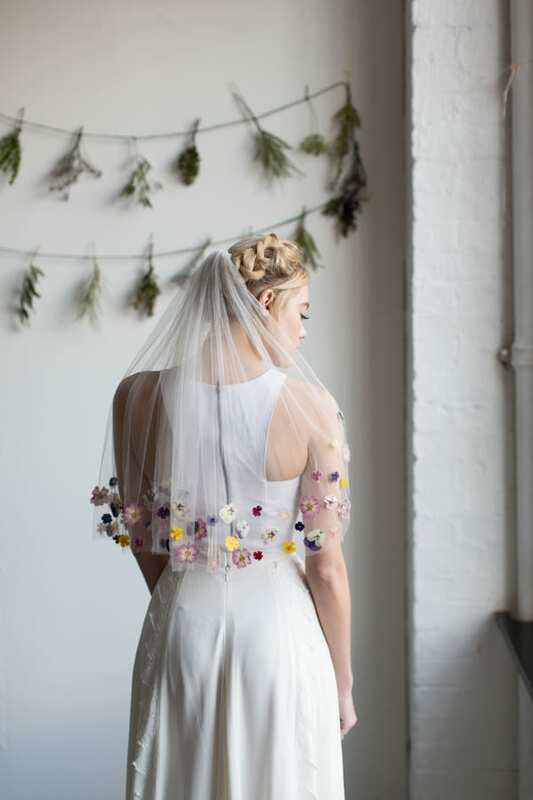 How stunning is this Meadow Veil by Ann Marie Faulkner Millinery, which features a border of pressed British grown pansies and violets?! If you’re planning your wedding and are looking for inspiration, then I highly recommend visiting the fair. It’s taking place in London on March 12th and 13th. Then in Norwich on March 20th. For further information, simply visit the A Most Curious Wedding Fair website. 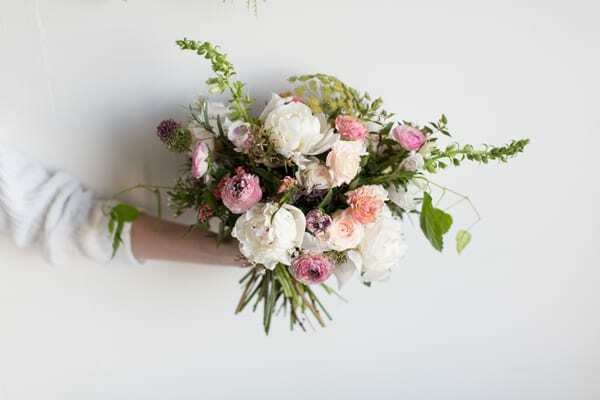 And for more wedding flowers inspiration, do pop over to the Palais website.